Coming from North Queensland, I have remained amorous of spring flowers ever since I saw my first field of buttercups back in 1975 in the south of France. 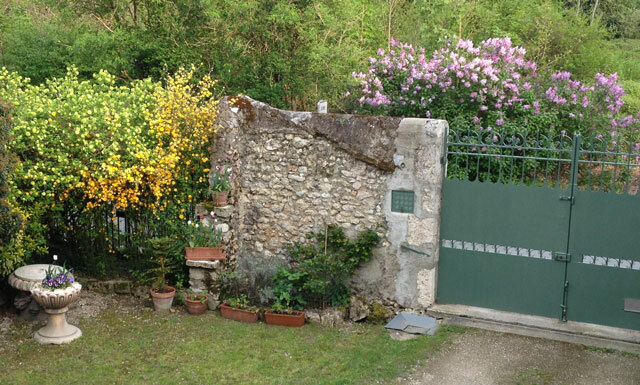 These are photos taken recently in the Blois and when we travelled back from the Basque Coast. 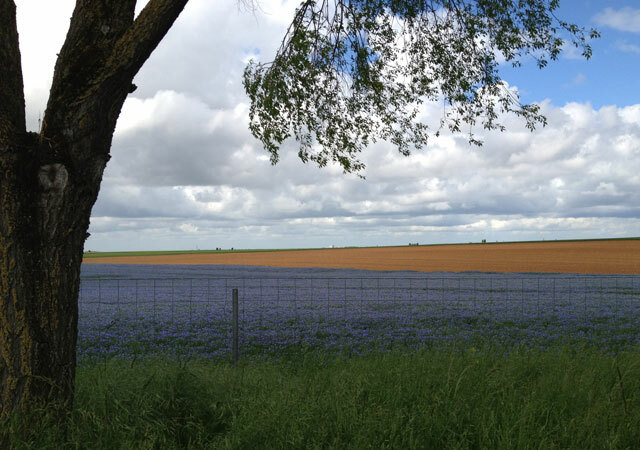 I had never seen flax (linen) in bloom and had no idea it was lavendar. I’m amazed in fact at how many spring flowers are lavendar, white and yellow. I’m not sure of all the names – maybe more knowledgeable readers can fill in the gaps. 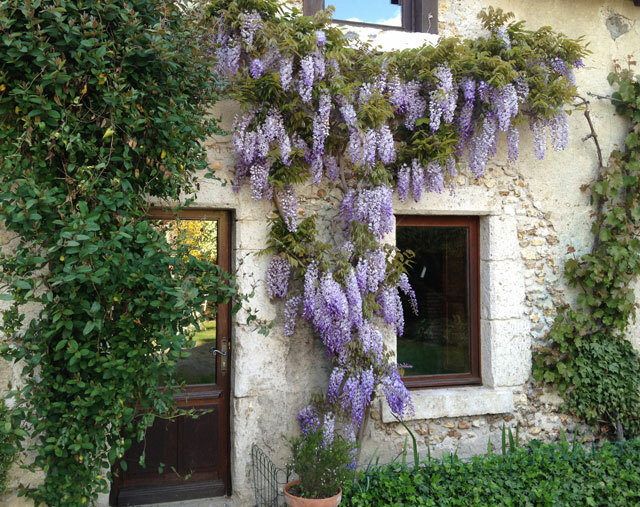 This entry was posted in Flowers & gardens, Travel photos and tagged Closerie Falaiseau, lilac, linen flax, medlar, ornamental broom, speedwell, wisteria. Bookmark the permalink. 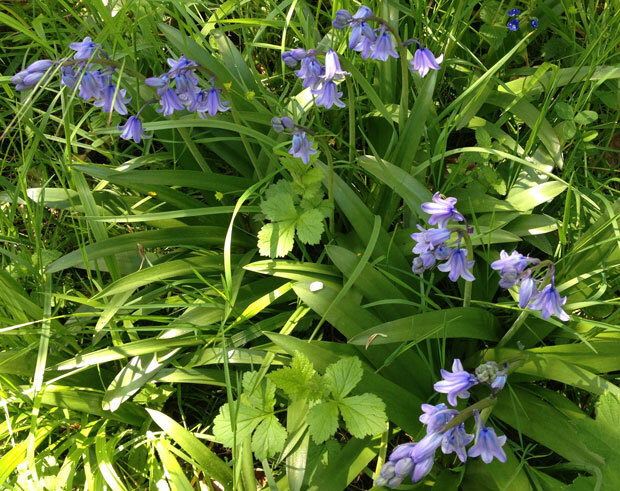 The bellflowers are Spanish Bluebell Hyacinthoides hispanica, or their hybrid with the native species H. x massartiana. 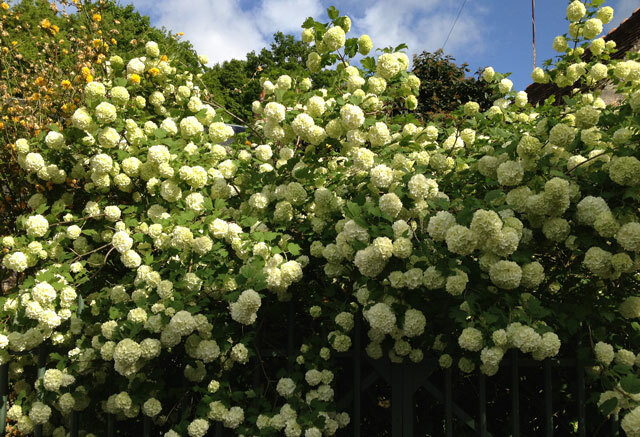 The unknown shrub is a Guelder Rose (aka Snowball Bush) Viburnum opulus. 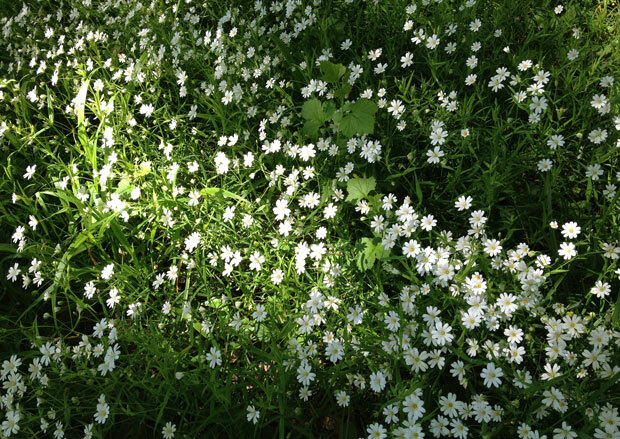 The white ‘daisies’ are Greater Stitchwort Stellaria holostea (in the same family as carnations, and not a daisy). The yellow daisies are not Speedwell/Veronica and Speedwell/Veronica is not a bulb. I’m not sure what the yellow daisies are. Speedwells are usually blue (sometimes pink or white) and have 4 petals. Thank you, Susan. I’ll update the post. The friend who has the yellow daisies told me they were véronique so I stupidly believed the bilingual dictionary when it said veronica. They are definitely bulbs though because we replanted some that she gave us. Susan, we went to Truffaut and found the “véroniques” which are actually doronics in French! 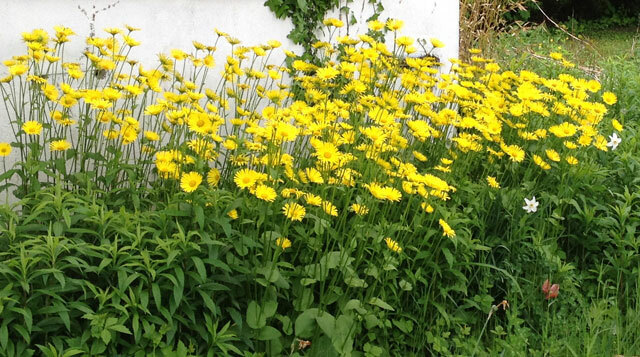 I looked up the internet and came up with Doronicum orientale (Leopard’s Bane). Does that sound right? So pretty. 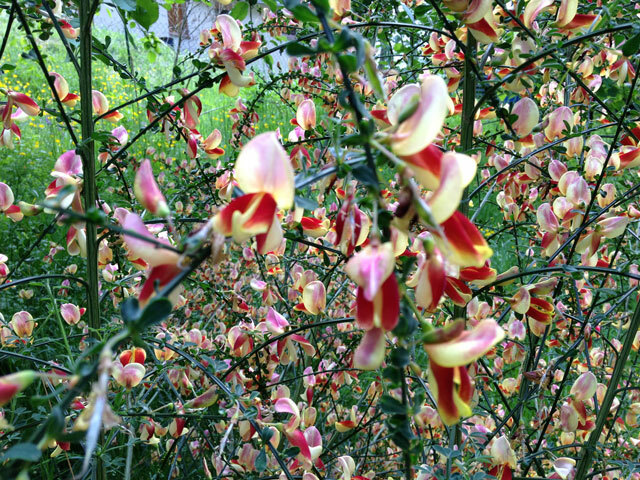 The ornamental broom looks like a field of exotic butterflies. I haven’t seen that plant before. From away, it doesn’t look very attractive, but up close, it’s lovely. I like the idea of the exotic butterflies. Blois is looking like you have always lived there – so pretty. I think your shrub is a viburnum – or more commonly known in Australia as a snowball tree – closest we get to it in most places. Thanks Barb. 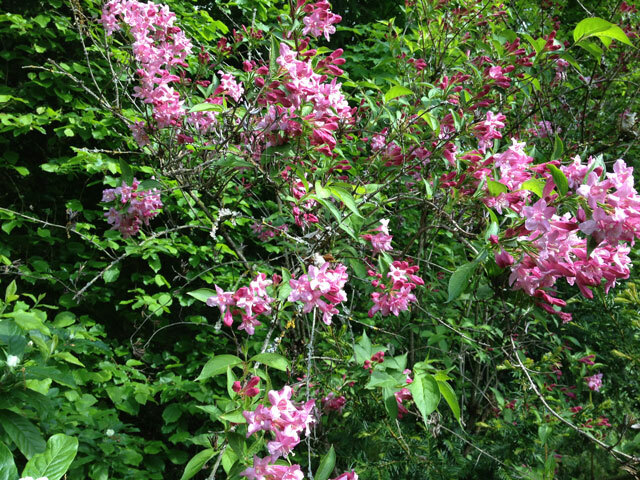 We’re very lucky that the previous owners planted so many flowering shrubs. As soon as one starts to wane, another comes into bloom. 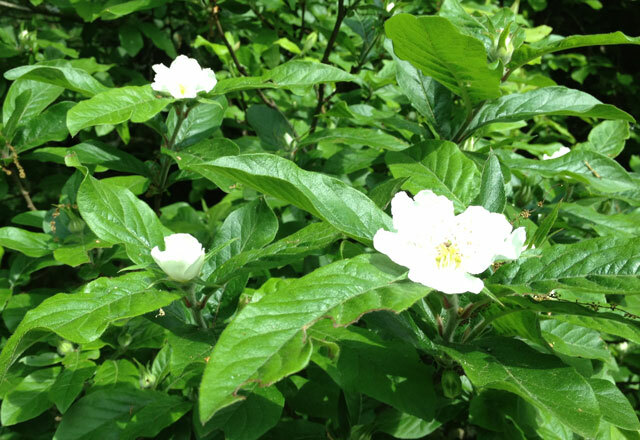 We’ve planted a few things, including some climbing roses that are about to come into bloom. all we need is some sun. Hi Bev! Aren’t they beautiful? They look so beautiful, we were too early for the spring flowers. I had a beautiful Wisteria at my home in Toowoomba – I still miss it and my fire in the cold winter evenings.